CEO of Mimi’s Touch and National Service Personnel, Aseye Amanda Dzokoto is crowned the first winner of Ghana’s 1st business pageant dubbed Face of GirlEmpowered (FOGE) hosted on 11th November, 2017 at the British Council in Accra. Unlike several other pageants, Face of GirlEmpowered was created to equip participants with requisite entrepreneurial and business skills to enable them kick-start their business ideas and also to position them to transfer their business and entrepreneurial knowledge and skills acquired during the competition to teenage girls and young ladies through training, mentorship, networking and coaching. The contestants underwent 8 weeks of capacity building in Business Modelling, Business Planning, Leadership and People Management, Financial Management, Branding, Sales & Marketing, Public Speaking & Presentation, Confidence Building & Personal Branding and Mentorship & Coaching. 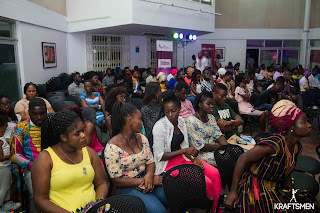 The final event, hosted at the British Council Accra, had 6 finalists from the 11 shortlisted contestants doing Presentations on their Business ideas, business acumen and experiences amidst fierce interrogation from the judges made up of Mrs. Evita Joseph Asare (CEO, Evita Joseph Beauty), Mrs. Felicity Ankomah – Sey (Vice Chancellor, Regional Maritime University), Anita Annan (CEO, Aranita Consult) and Mansa Ampomah (Managing Partner of Aerovector Ltd and Chairperson of the grand finale). The winning business by Aseye was a mobile hair saloon named Mimi’s Touch located currently at the University of Ghana where she currently serves as a service personnel and a past student. 1st and 2nd runners up of the competition were Mabel Essel (School of Social Work Alumnus) and Cynthia Kaminta (alumnus of KNUST) respectively. The 6 finalists selected for the program were: Cynthia Kaminta, Aseye Amanda Dzokoto, Ernestina A. Adzei, Mabel Essel, Grace Makafui Kwadam and Francisca Ayi. Other distinguished women entrepreneurs who attended the event included: Roseline Delali Ashiagbui (CEO, Delchris Africa Limited), Laureen Tsenokpor (CEO, Launaires Consult), Catherine Kirsch, Akua Obenewaa Donkor (CMO, SISU Global Health), Ayisha Awudu Ali (CEO, Shaliwud Ventures) amongst others. In a statement by the CEO of TANOE, Mr. Ekow Mensah, he was very optimistic that the Face of GirlEmpowered business pageant being a hybrid of a traditional beauty pageant and a business accelerator program, will witness the massive patronage of young women across the country and better position them to build their capacity and knowledge in setting up and running businesses and empowering teenage girls to be independent, entrepreneurial and resourceful in life and business. He congratulated the contestants for making the pilot a success and massively applauded the effort of the GirlEmpowered coordinator Suzzy Abena Adasu for doing an amazing job amidst overwhelming challenges. Prize packages for the winner of competition include: Face of GirlEmpowered title (1st Business Pageant Queen), Funding for FOGE Tour/Startup Capital, Business Registration Support, Office Space & Address, Company Website, Speaking Opportunity at Women CEOs Summit by WomanRising, Personal Branding Support Package, Mentorship, Networking Opportunities, Online Branding Campaign, One on One Coaching and Professional Photo-shoot Sessions. This event saw the patronage of parents, families, and friends of various finalists in the 2017 Face of GirlEmpowered Business pageant. 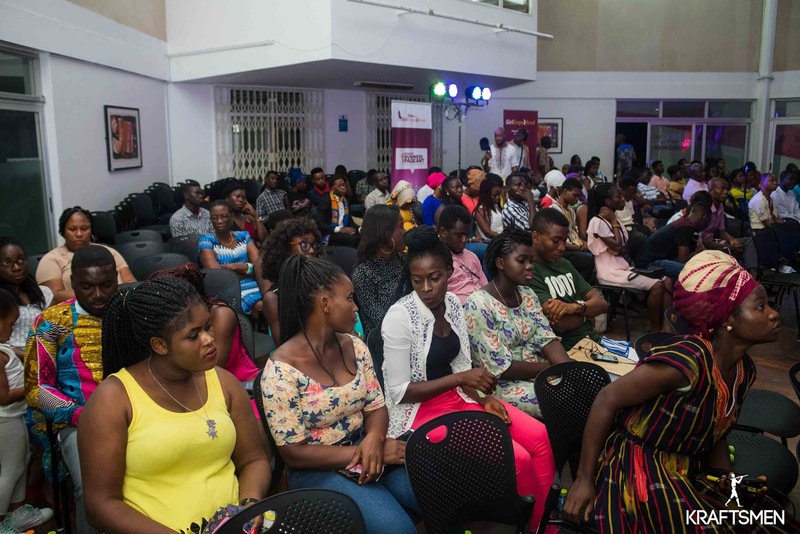 The program, organized by GirlEmpowered; a flagship network of The African Network of Entrepreneurs) was supported by iConceptsPR, Wise TV, Odomena Foundation, Awake Mineral Water, Kente Master, Delchris, Shaliwud, Dekocraft, Aranita Consult, Kraftsmen, Kennyville Experience, AngelPhase, PamperDem and Privateline Studios.